Christmas time and decorating is in full swing at my house and it can get a bit chaotic at times. But, one thing I do make time for is making some new ornaments to put on the tree. This year I made some more canvas ornaments. 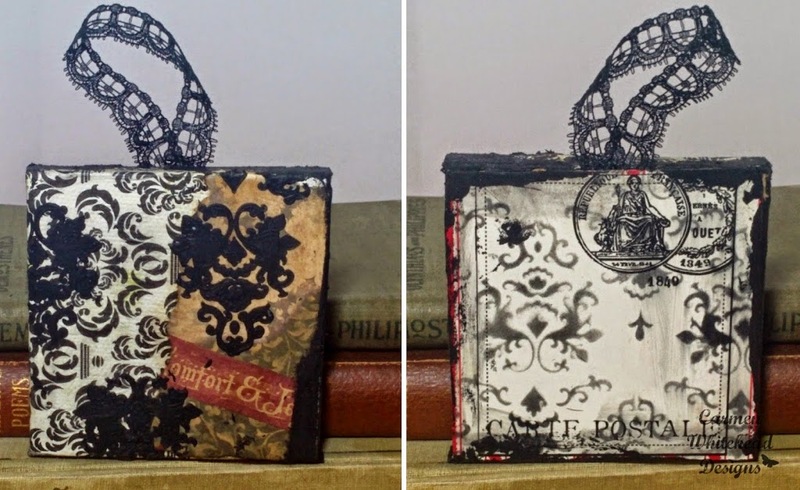 These are small canvases that are decorated and a piece of lace or twine is attached for hanging.